I've just discovered Mashpedia and I have to say I really like it. It's a combination of a search engine and an encyclopedia. It's very simple to use, you just type in a search query and hit search. 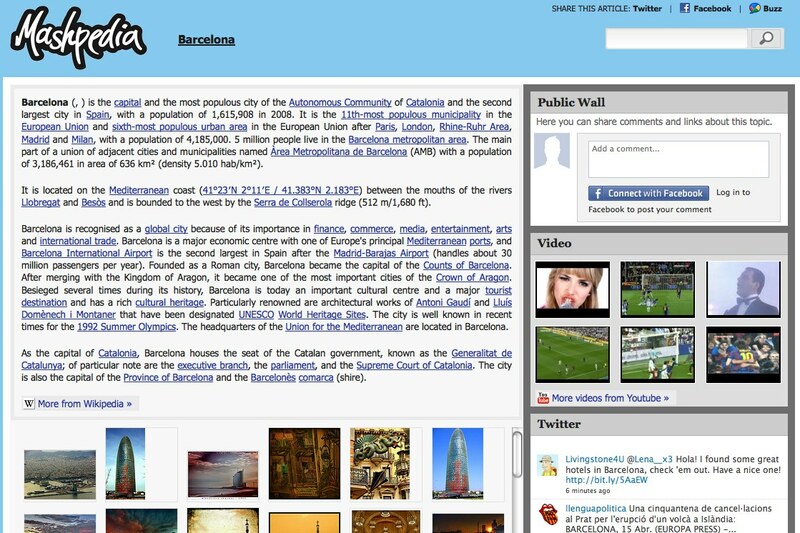 The site will then generate a page of information links about your search topic. 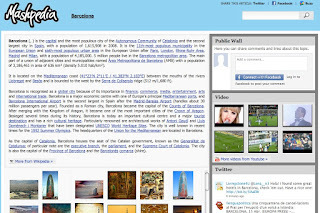 It collects information from multiple media and different sources from books, blogs , text images to video and even Twitter references. Here's a couple of example pages I created, just click the titles to see the pages compile themselves. This is a great tool for creating reading and research tasks for students, based around authentic materials. It creates genuine web based reading tasks that demand that students assess clues to text content from multiple sources before exploring the links, then read or watch for gist to check relevance before reading / listening more deeply for specific information. The pages will always create similar though not identical content so don't create very specific reading and research tasks, make sure the tasks are general and more generic. Get students to look at the information and use it to create a quiz on the topic. They find information that interests them and write questions to quiz the rest of the class. Set students to find 5 - 10 facts about a topic. You could stipulate some of these need to be negative aspects and some positive to make it more challenging. Get students to search the page and decide which of the sources it links to is the single most informative or interesting. Get students to research a topic and create a multimedia poster about it using text, images and video embedded. You could use something like Glogster for them to show their results. Get students to research a topic and create a short documentary or news report about it. If you have access to a video camera you could video their presentations. Of course you still have to be careful with younger students as you can't control what comes in to the page, and also expect much less of lower level students and set them quite simple tasks, perhaps as simple as pulling out some images and describing them etc. This is a great way to generate web based reading tasks from authentic materials that students can access in an authentic way. 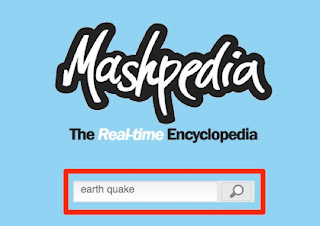 I hope you find Mashpedia and these suggestions useful. 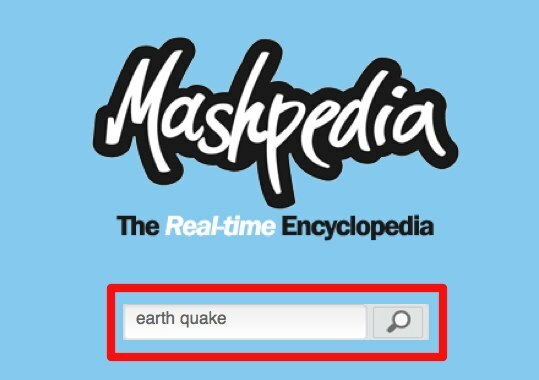 I think I am going to love Mashpedia. Interesting the prominence it gives to images and blogs. So glad you are back blogging, Nik! It's great to be back and blogging again. Great classroom ideas. Thanks Nik.